My girlfriend is on a mission to read 100 books in four years. Since she got a strong start in 2016, she was motivated to read at least 25 books in 2017. Her enthusiasm was infectious, so I decided to take on a similar challenge. I committed to reading 24 books in 2017. At two books a month, that seemed like a reasonable goal for the year. 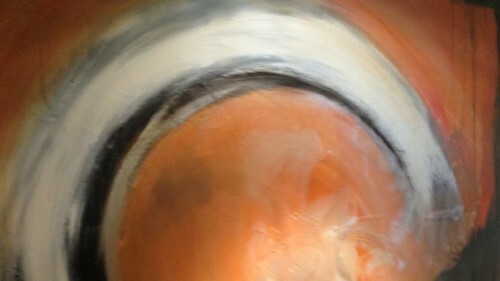 This post originally appeared on the guest blog at the Planetary Society. A Rosetta image of Comet 67P/Churyumov-Gerasimenko, taken by the OSIRIS camera. ESA/Rosetta/MPS for OSIRIS Team MPS/UPD/LAM/IAA/SSO/INTA/UPM/DASP/IDA. We live in a culture filled with spoilers. With the extensive, intricate, and redundant lines of communication that connect us to each other, any new bit of news or nugget of discovery is quickly shared. Sometimes the conclusion arrives before the beginning. This is especially true in the world of storytelling, where knowing the ending can spoil the enjoyment of the story. This problem is magnified by people who enjoy being the one to 'share' the news. Whether malicious or not, these spoilers, both the act and the actors, have stolen the enjoyment of many stories from many people. In a similar way, the journey of scientific discovery can be spoiled. A scientist builds a story, beginning with data or an idea or both. From that beginning, the story progresses through challenges and obstacles until a discovery or new understanding is reached, i.e., the end of the scientific story is found. For many scientists, experiencing the complete story is what makes the job so exciting. Being given the ending as opposed to discovering the ending just spoils the joy of doing science. UPDATE: I have changed how I setup my Python environment. These instructions are no longer up to date and may not work on newer versions of the Mac OS. I use a Mac computer for most of my research, with the exception of running large climate models, which is usually done on clusters that are built from Linux machines. For most of my work, the Mac OS X operating system provides me computational foundation I need to develop and run planetary climate models. I am not a fanatic follower of Apple and I will use Windows machines when the task demands it, e.g. CAD design on Solidworks or mapping on ArcGIS. For me, a computer OS is just another tool, like Fortran, Python, a spectrometer, or a soldering iron. I have a toolbox and I put the tools in for the job. The trick is setting up the tools right. I submitted my first two proposals as a principal investigator (PI)1 this last month, which is a major milestone as newly minted PhD. In fact, I have a bit of a head start since I was able to submit proposals as a PI while still only a postdoctoral scholar. Most academic institutions do not allow postdocs, as we are commonly called, to be a PI on a grant proposal. Fortunately for me, I work at a non-profit research institute that encourages their scientists to pursue grants funding as a PI, both early and often. Since grants are the lifeblood of scientists here in America, submitting proposals as a PI is an important step in the progression of my scientific career. 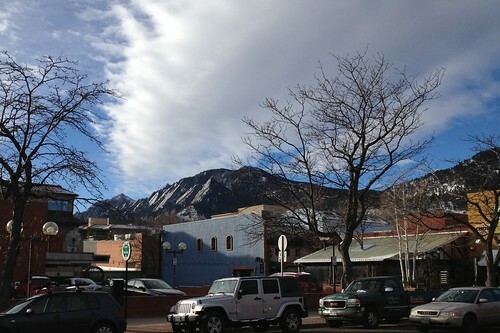 The Flatirons from Pearl Street (Boulder, CO). The arrival of 2013 brings a new home and new job for me. A few weeks ago I started as a Postdoctoral Researcher at the Planetary Science Directorate of the Southwest Research Institute (SwRI), where I will continue to study the Titan atmospheric dynamics. The SwRI Boulder office has a great group of planetary scientists working on a number of projects, from exoplanets to planetary formation to solar system dynamics to planetary geology to planetary atmospheres. Plus, they are in charge of the Juno mission and the New Horizons Pluto mission. This will be a fun place to work, and the fact that I will be living in Boulder, CO is just a bonus. 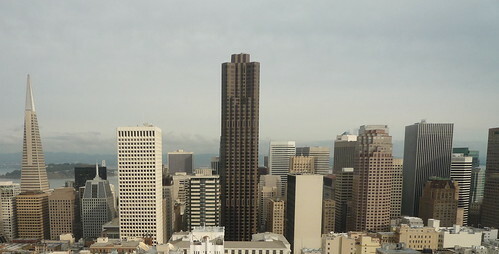 The San Francisco skyline in December. The second stop of my thesis results world tour was the 2012 American Geophysical Union (AGU) Fall Meeting, which is held every year in downtown San Francisco at the Moscone convention center. This was a short trip for me, since I did not stay the whole week, but I did have four hours of conversations about my poster, which was a lot of fun. After a great half year in Colorado working with Dr. Jeffrey Andrews-Hanna I have returned to Pasadena, California to again collaborate with Dr. Tapio Schneider. Dr. Schneider and I will be investigating the methane cycle on current Titan with an emphasis on understanding the large scale processes that influence precipitation, both seasonally and secularly. Although I am still working on various Mars projects, I am excited to tackle a different terrestrial planet, particularly a slowly rotating planet with a thick atmosphere. There will be some interesting new physics to learn. 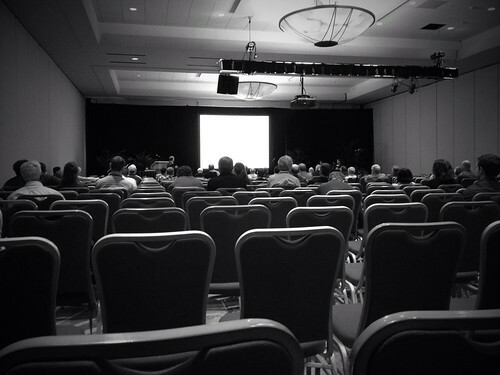 One of the Mars sessions on the afternoon of the last day of LPSC 2012. Only the diehards remain. One of my thesis chapters discusses the climate dynamics of atmospheric collapse on Mars. Although I am still working on submiting a version of this chapter to a peer-review journal, I thought that the Lunar and Planetary Science Conference (LPSC) would be a good place to present the results. Since the work would be difficult to squeeze into the LPSC standard 12-minute talk, I chose to present the work as a poster. Having finished my thesis at Caltech I have moved to the Colorado School of Mines where I will be working with Prof. Jeffrey Andrews-Hanna. Andrews-Hanna and I have been collaborating for a number of years, trying to couple his groundwater modeling with my climate modeling. We are particularly interested in the Noachian-Hesperian transition on ancient Mars, which is a period of time when Mars appears to have transitioned from a wet environment to a dry environment. One of the perks of being a graduate student at Catlech is the alumni wealth that is given to the Institute. For the Division of Geological and Planetary Sciences, one of the primary alumni benefactors are the Kliegel family. Many of our seminars are sponsored by this generous family. As well, the Kliegel family periodically funded educational and cultural trips for the undergraduate and graduate students. I was fortunate to go on one of these Kliegel-funded trips. We we went to Peru, where we learned about an ongoing Caltech geophysical campaign to observe slab subduction under Peru and about the Peruvian culture and history. 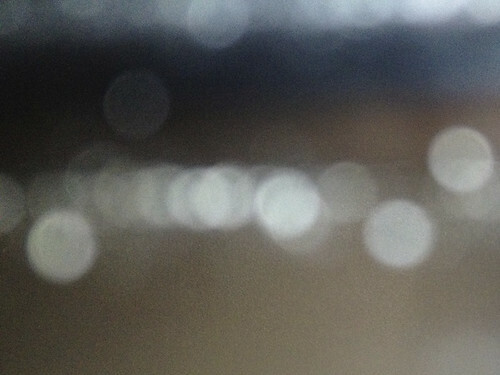 There is a blog archive. Also, you can subscribe via RSS.